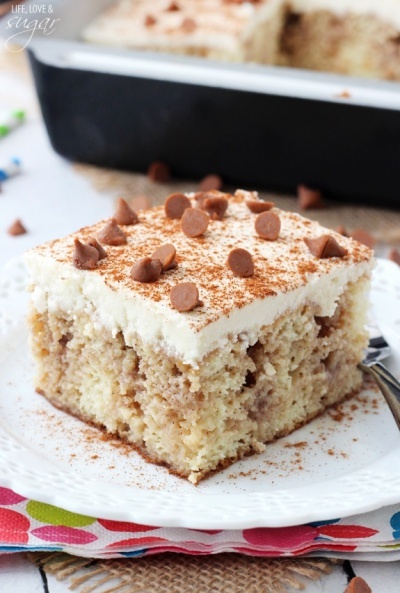 I am totally in love with this Cinnamon Roll Poke Cake. The moist vanilla cake is made with BAILEYS® Coffee Creamers Cinnamon Dolce and soaked with an amazing butter cinnamon mixture, topped with vanilla icing. I couldn’t get enough of it.